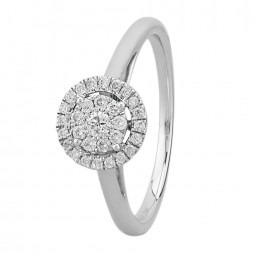 With an air of elegance, this ring exudes colour, sparkle and shine. 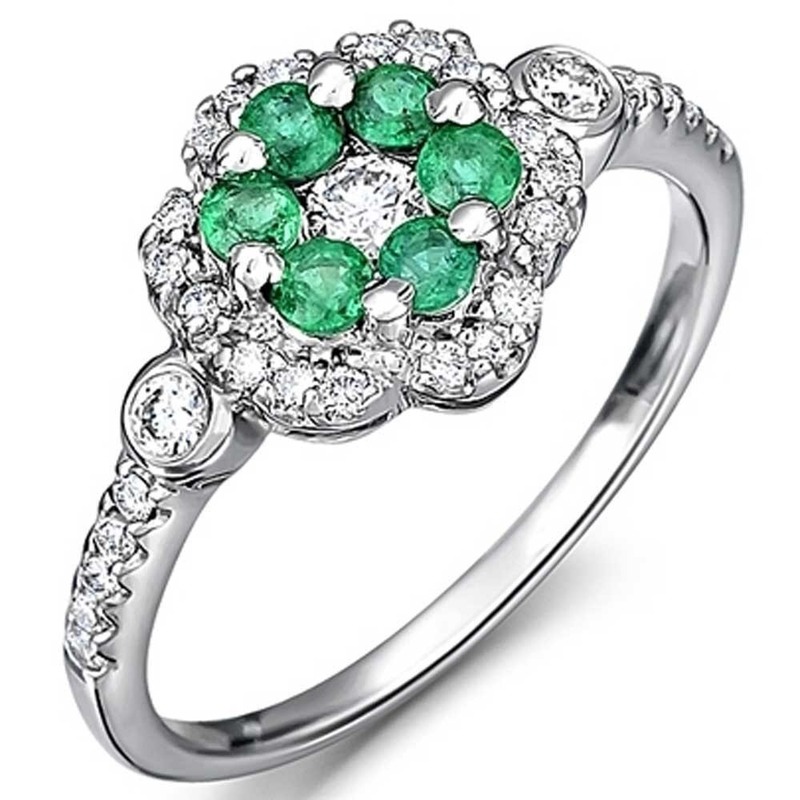 Constructed in a contemporary style cluster, it secures six round cut emeralds and a plethora of brilliant cut diamonds arranged in a flower like setting. 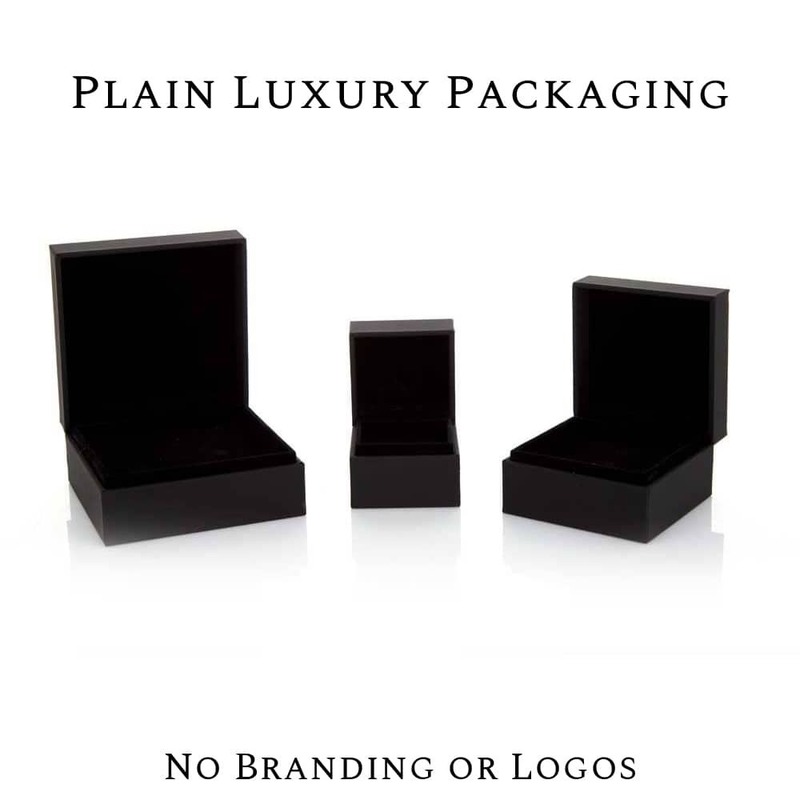 As an everyday piece, or something for special occasions, it will compliment all attire.